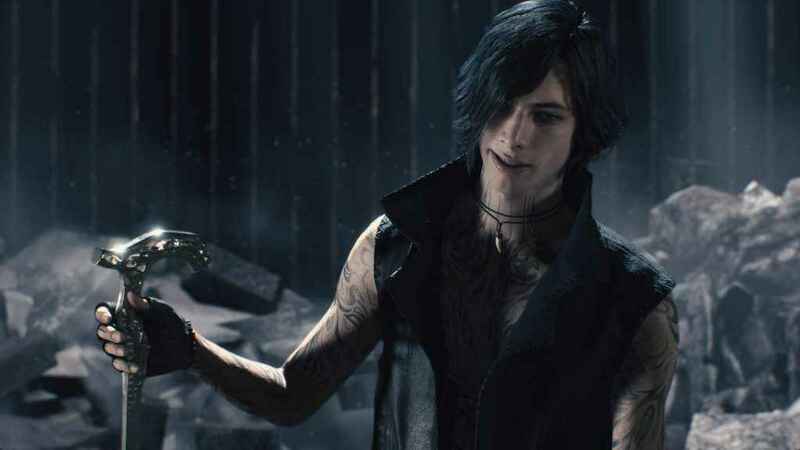 Capcom has revealed two shiny new Devil May Cry 5 weapons at this weekend’s New York Comic-Con; and they’re just as wonderfully absurd as everything else in the game. Starting with the most ludicrous, the Faust Hat can be seen in this video on YouTuber R K’s channel. Aside from giving Dante an immediate boost to his suavity gauge, the Faust is an extremely powerful and effective demon slaying tool that uses the game’s Red Orbs as a resource to unleash devastating magical attacks. Including one that summons a bunch of meteors to Dante’s side. However, to balance things out, Red Orbs can also be gained from defeating enemies whilst wearing the Faust Hat. The Cerberus, meanwhile, isn’t a new weapon per se. Having made its debut back in Devil May Cry 3. This time around, however, it’s able to alternate between three distinctive forms: Ice Nunchucks, Fire Bow, and Lightning Chain. Allowing Dante to deal huge amounts of damage to enemies of varying weaknesses simultaneously, without having to change weapon. In addition, Capcom also found time to show off DMC5’s Balrog gear. Named after the Street Fighter character of the same name, the Balrog set includes a pair of gauntlets, grieves, and shoulder pads that imbue Dante with the agility and technique of a world class martial artist. Devil May Cry 5 arrives on PS4, Xbox One, and PC on the 8th March 2019. We’ve been following it closely over the past few months, so, if you’re interested in finding out how the game’s microtransactions work or want to see some of its spectacular Devil Breakers in action, head over to PSU’s DMC5 game page.